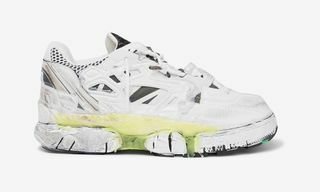 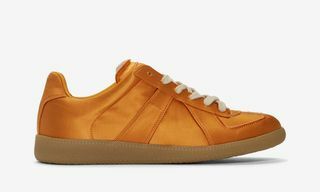 Key Features: These deconstructed Margiela sneakers feature a smooth leather and mesh upper, rounded toe, padded tongue, double pull loops, and glue-covered rubber sole. 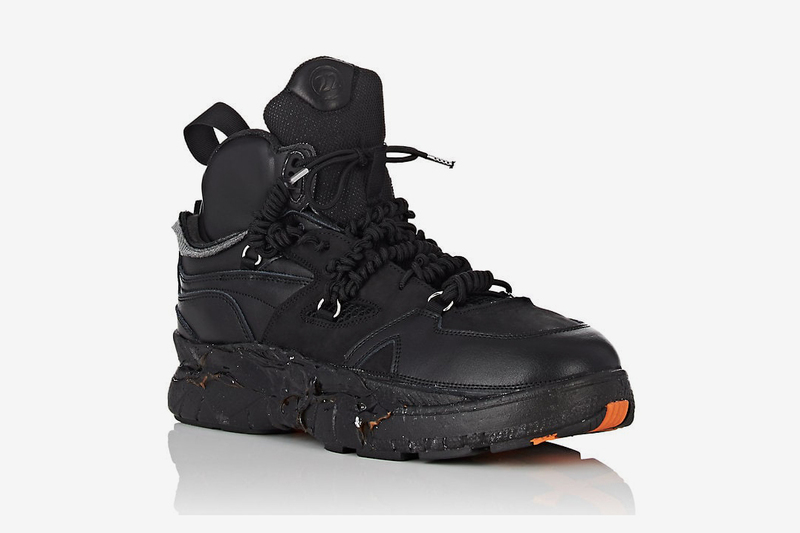 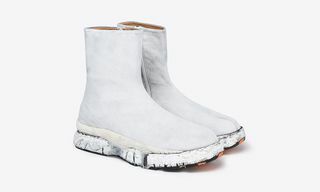 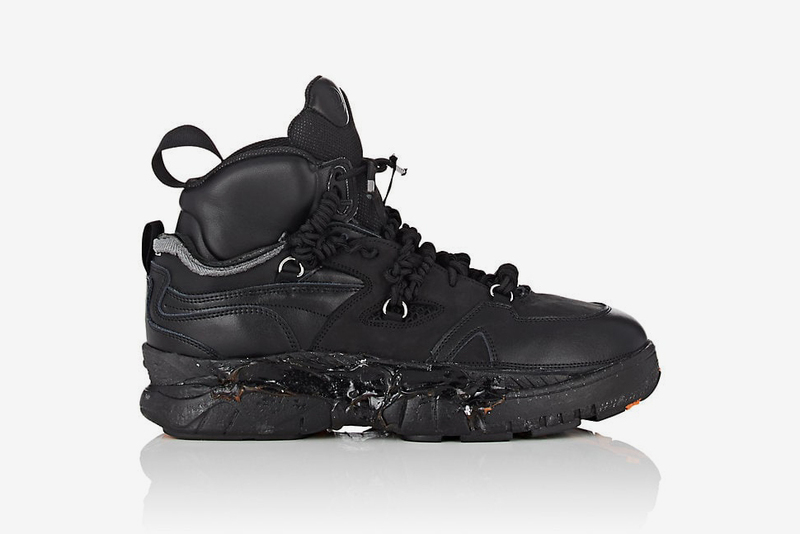 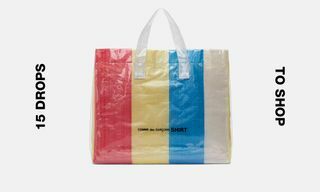 Editor’s Notes: Having just dropped a pair of glue-covered Fusion Tabi boots, Maison Margiela is gearing up for the release of a new hiking-ready version of its signature Fusion sneaker (you know, the ones worn by A$AP Rocky at Paris Fashion Week). The Fusion Sneakerboots come as part of the brand’s FW18 collection, which also includes a series of new chunky low- and high-tops. 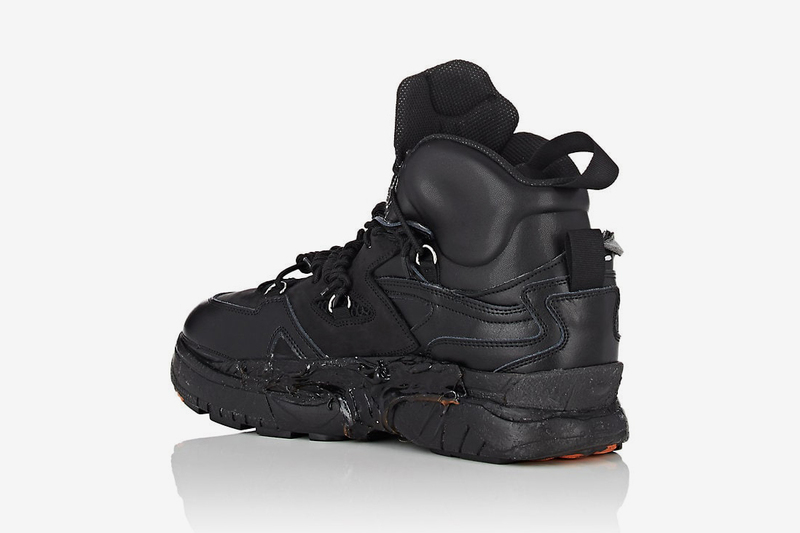 Featuring a signature glue-covered sole and deconstructed silhouette with a high-top, lace-up closure, these sneakers are the lovechild of the Fusions and a classic hiking boot, even boasting metal hardware on its upper. 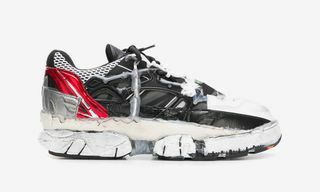 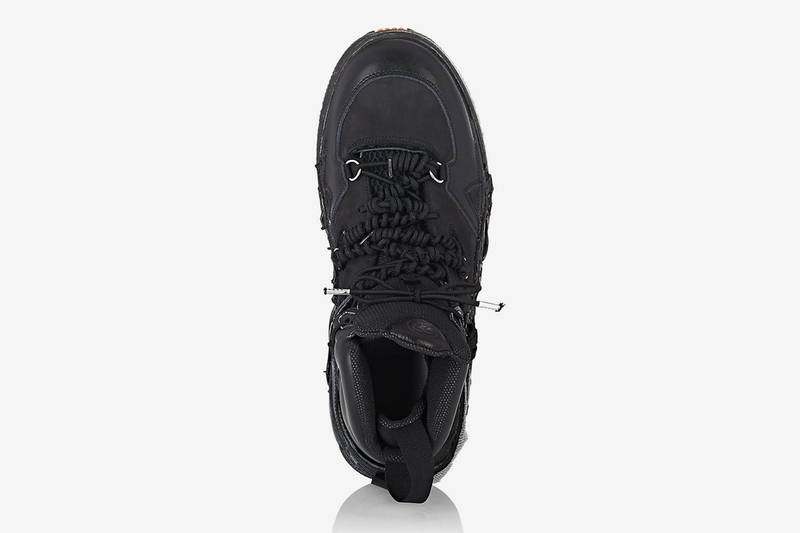 True to Margiela’s high price points, the sneakerboots retail for $1,780, and are available to pre-order right now, with delivery expected by October. 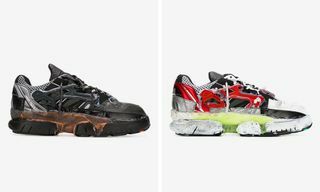 Take a closer look at the sneakers below, and cop before your size sells out — if they haven’t already.